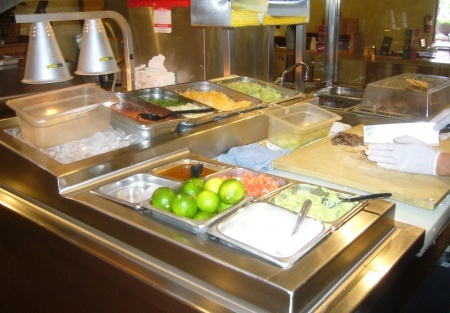 Considered one of the best Mexican Quick Service Restaurants in Orange County and known for quality ingredients and fresh food. Ideal Absentee Ownership Opportunity - General Manager Currently in Place. This popular restaurant offers healthy alternatives to traditional Mexican and Southwestern cuisine. Popular among locals, this place is rocking with daily specials and standing room only. Outside seating available, but you'd better get there early! Full service kitchen with staff arriving at 3 AM to begin the secret recipes of slow cooking and unique spice blends. This restaurant offers breakfast starting at 10 AM and serves throughout the day closing at 9 PM. Take Out Delivery and Table service are all offered as well as beer and wine. If you have ever wanted to own a running business that is popular as well as profitable, this is your chance to expand the concept. Current Manager is a possible future Manager for new owner and he brings new ideas and an impressive work ethic. This restaurant has a beer and wine license. BUYER WITH STRONG CREDIT AND STRONG PERSONAL FINANCIALS SHOULD ONLY MAKE OFFER. MAKE OFFER! THIS WILL NOT LAST!